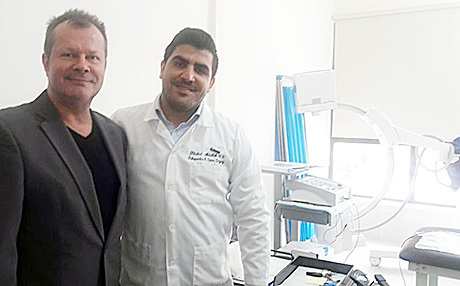 schwa-medico workshop for our radiofrequency lesion device THERMEDICO NK 1 in Saida / Lebanon, in the new clinic ORTHOPEDIA. Here together with Dr.Khaled Abdallah, organized by Mr. Hussein Kurdieh from M.A.R.S. Lebanon. TALWALKARS Better Value Fitness Ltd. regarding our StimaWELL EMS Syste..